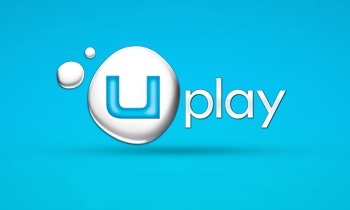 Ubisoft hopes to someday offer games from other publishers through its Uplay digital distribution service. Ubisoft recently became the latest major publisher to launch a home-grown digital distribution platform, adding its Uplay service to a field that already includes Steam and Origin, plus independent distributors like GOG, Desura, Green Man Gaming and others. For the moment, Uplay offers only Ubisoft titles, but that could, and likely will, change in the future. "We remain open to opportunities," Ubisoft's Stephanie Perotti told MCV. "Right now, we're starting the service with our own games, but as we go forward, we plan to potentially add other titles." Uplay actually launched back in late 2009 in conjunction with Assassin's Creed II, but at the time was primarily a DRM and DLC system. Ubisoft then rolled out the "Uplay Passport," its version of the "online pass," with the 2011 launch of Driver: San Francisco, and Perotti said the publisher's plans go beyond turning Uplay into a mere digital distribution platform. "We continue to evolve the service across all platforms, including PC, console and mobile," she said. "The more Ubisoft games you play, the more rewards you can get, as well as several online services that players would expect." Sounds perfectly reasonable to me, but an awful lot of PC gamers resented EA's intrusion into the Steam-space with Origin. Will they be willing to make room for yet another player - especially one who's been so disdainful of their platform in the past?